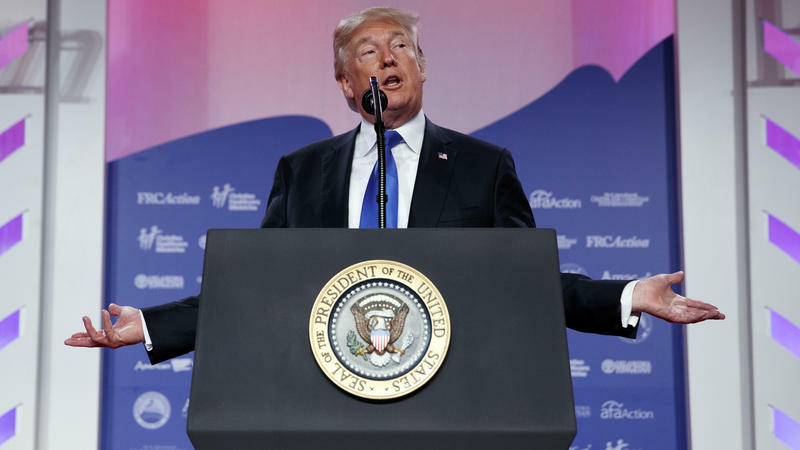 President Trump spoke to one of the most faithful blocs of his base on Friday, telling attendees of this year's Values Voter Summit that in America "we don't worship government, we worship God." 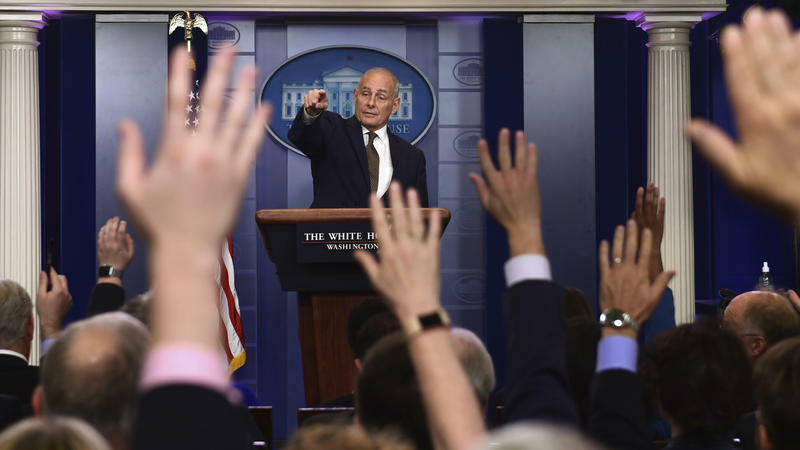 White House chief of staff John Kelly made an unusual appearance at Thursday's daily press briefing to clear up a few things: He isn't going anywhere, he is not frustrated by President Trump's use of Twitter and he is not trying to micromanage the president. "Although I read it all the time, pretty consistently, I'm not quitting today," Kelly said. "I don't believe — and I just talked to the president — I don't believe that I'm being fired today. And I'm not so frustrated in this job that I'm thinking of leaving." 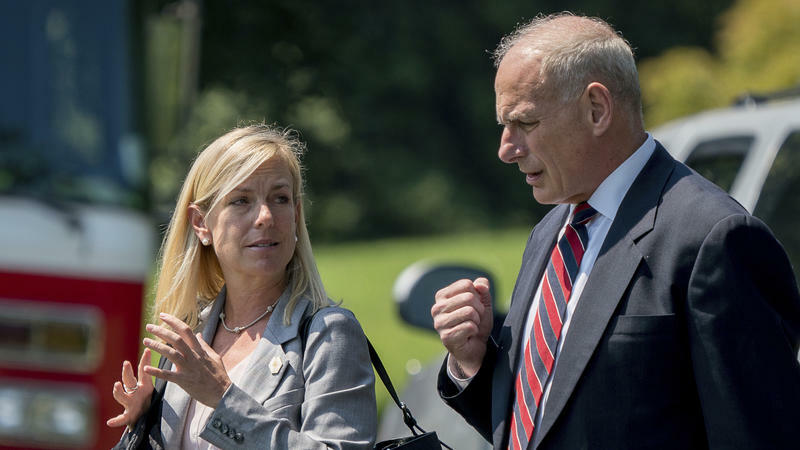 President Trump is nominating Kirstjen Nielsen to be the next homeland security secretary, the White House announced Wednesday. Nielsen would succeed now-White House chief of staff John Kelly in the position if confirmed by the Senate. She currently serves as Kelly's principal deputy chief of staff and was also his chief of staff at the Department of Homeland Security. Marsha Blackburn, 'Politically Incorrect And Proud Of It,' Runs For Senate In Tenn.
Rep. Marsha Blackburn, R-Tenn., announced on Tuesday she will run for Senate in Tennessee — and took a shot at the current Republican leadership in her announcement video. 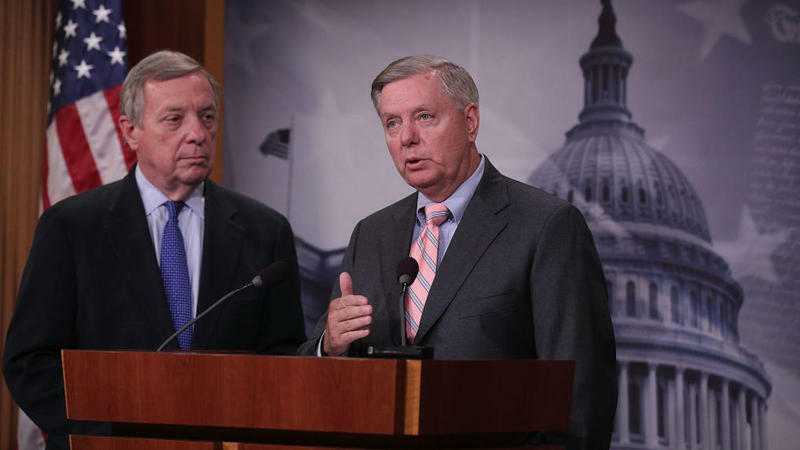 The partisan split in America is the highest it has been in two decades, with Republicans and Democrats holding vastly disparate views on race, immigration and the role of government, according to a new study from the Pew Research Center. Pew has been measuring attitudes on policy issues and political values going back to 1994, and its latest check-in finds — perhaps unsurprisingly — that Americans are more divided than ever. 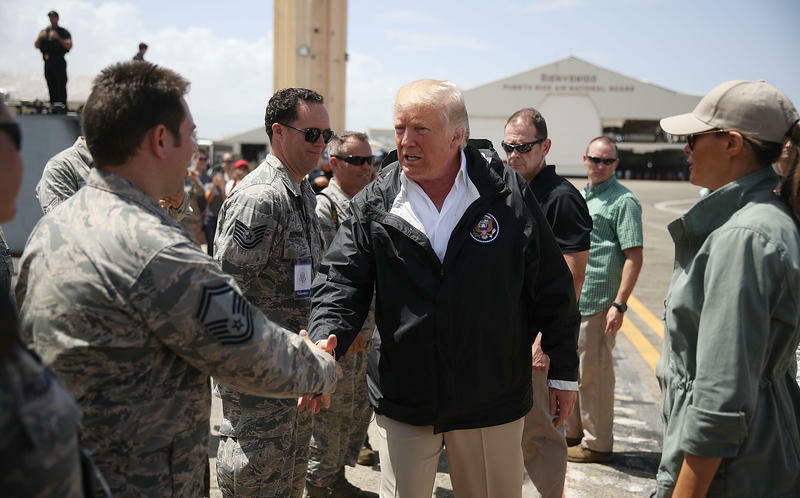 President Trump traveled Tuesday to devastated Puerto Rico following his administration's maligned response to Hurricane Maria. But as soon as he stepped off the plane, the president was in a self-congratulatory mood. In a hurricane briefing Trump praised his Cabinet, contrasted the devastation with "a real catastrophe like [Hurricane] Katrina," threw in an aside about how much Puerto Rico recovery was costing the U.S., and later was filmed throwing paper towels into a crowd as part of efforts to distribute supplies. 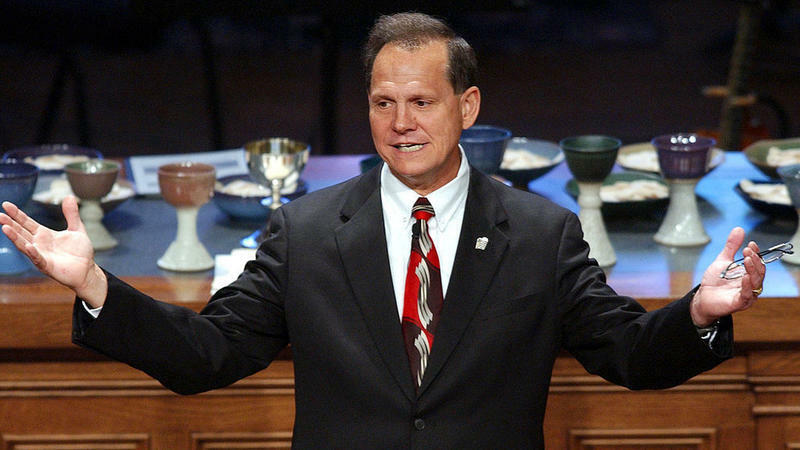 Roy Moore's GOP runoff win in Alabama on Tuesday has only emboldened the anti-establishment wing of the party in its belief that it can knock off other incumbent senators in next year's midterm primaries. 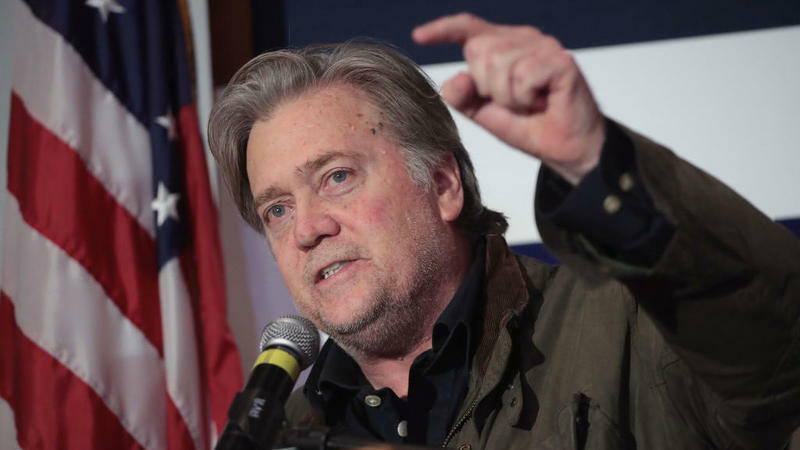 "We're going to war," former White House chief strategist Steve Bannon told Politico this week. "This is not a pillow fight, this is a fight fight." 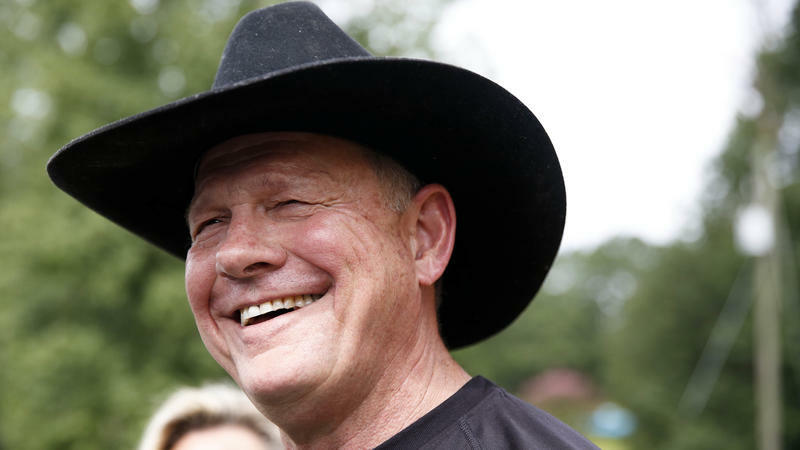 After winning Tuesday night's Alabama GOP Senate primary runoff, Roy Moore is one step closer to the United States Senate. 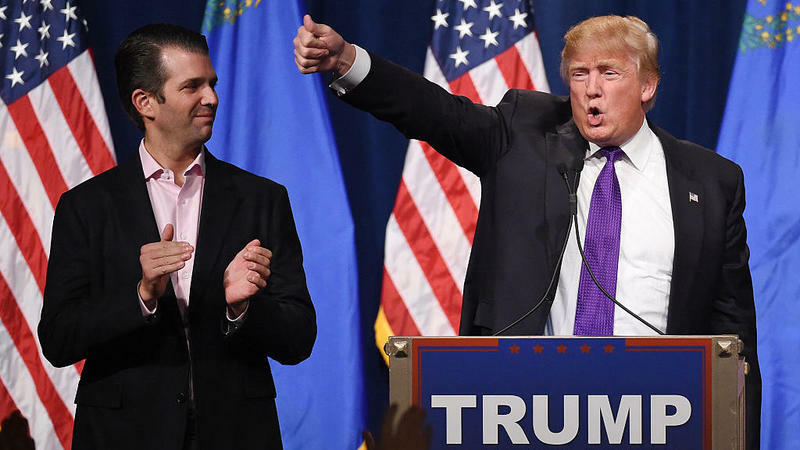 The anti-establishment conservative could give Republican leaders plenty of headaches if he wins the general election in December. 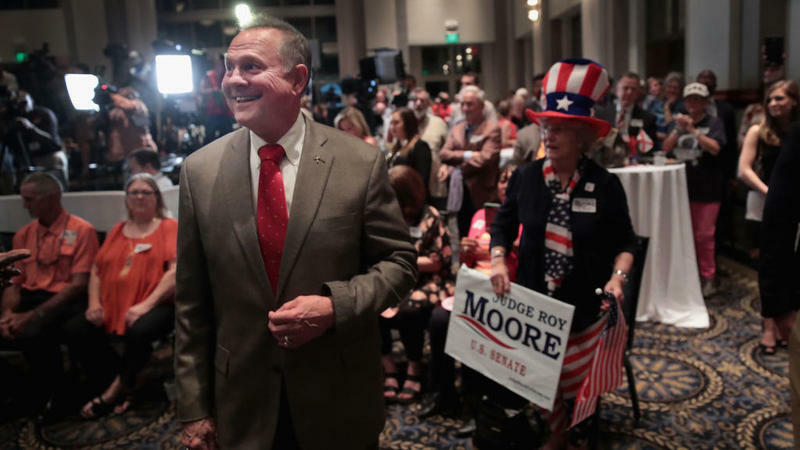 Conservative firebrand Roy Moore rolled to an easy win in the Alabama GOP Senate primary runoff, defeating appointed Sen. Luther Strange, the preferred candidate of both President Trump and Senate Majority Leader Mitch McConnell. Tuesday night, both Trump and McConnell pledged their support for Moore going forward. 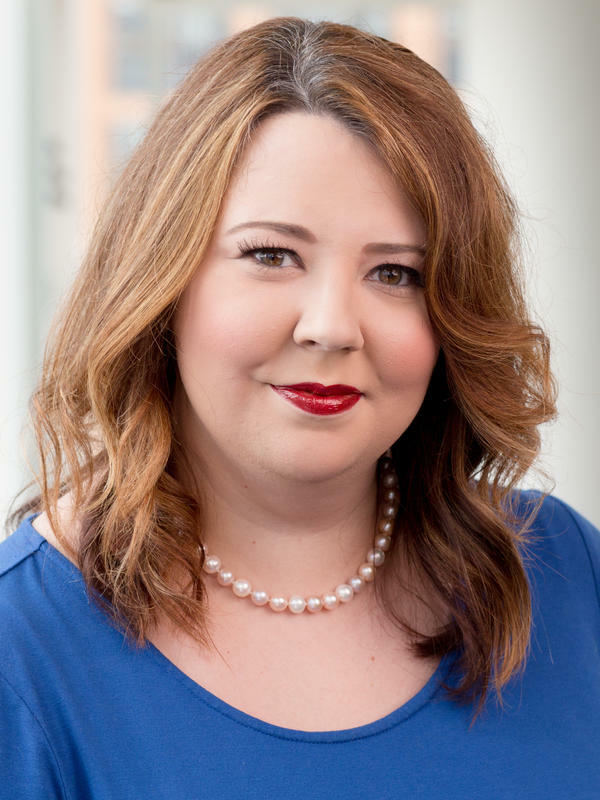 President Trump's brand faces a major test on Tuesday in the Alabama Republican Senate primary runoff. 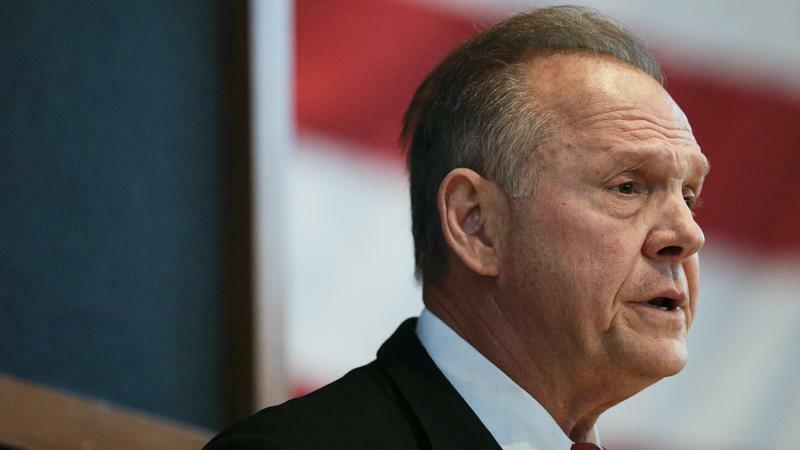 His preferred candidate is Luther Strange, the incumbent senator who has consistently trailed in the polls to firebrand conservative Roy Moore, a former state Supreme Court justice. 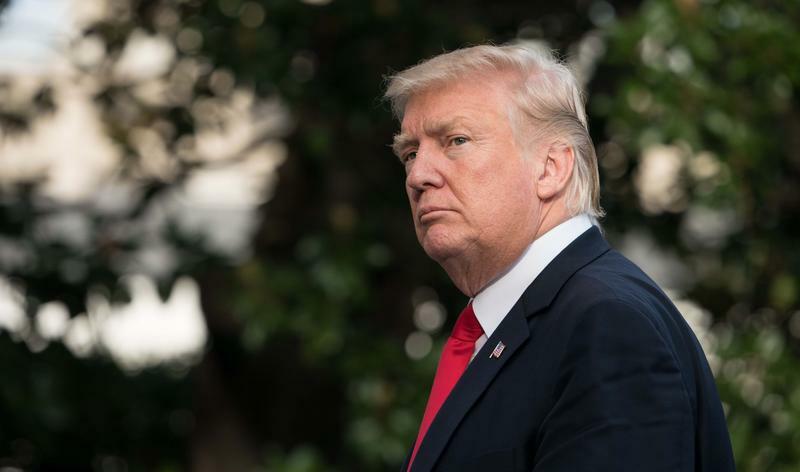 Trump was just in Alabama stumping for Strange on Friday, where he landed himself in controversy, calling for the firing of NFL players who don't stand for the national anthem. 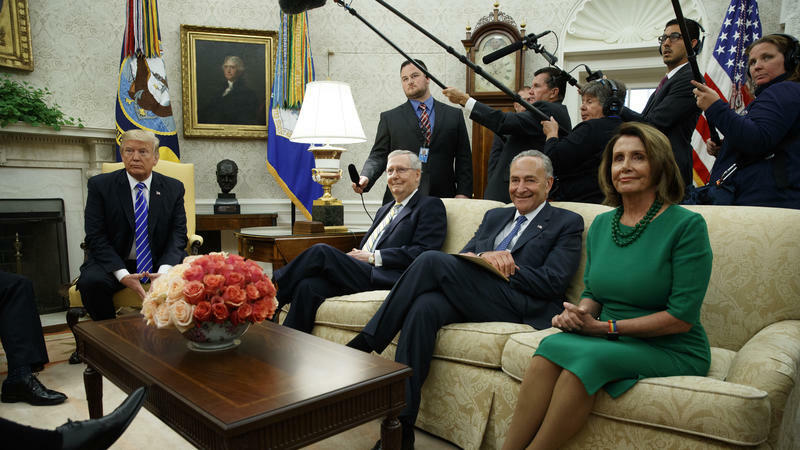 Democratic congressional leaders announced Wednesday that they had reached a deal with President Trump in an Oval Office meeting to pass hurricane relief funding this week, along with measures to push off pressing fiscal deadlines to December — over the apparent objections of Republican leaders. Trump Gives Congress An Olive Branch With Tax Pitch, But Will It Last? 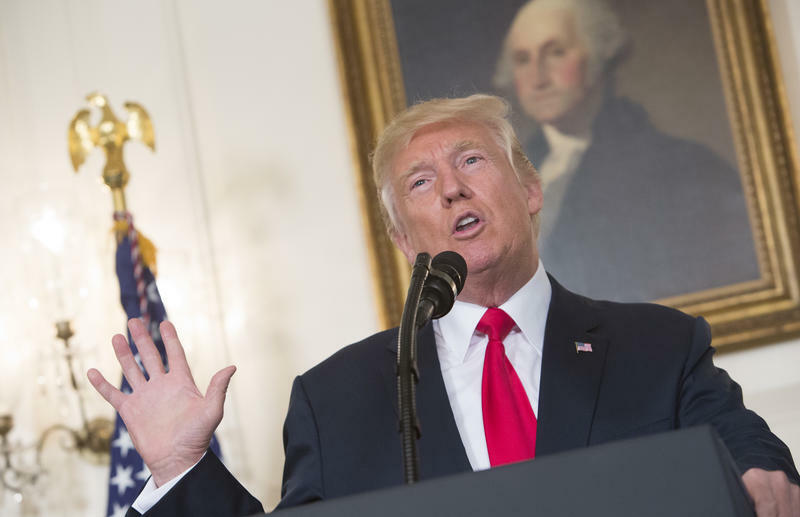 When President Trump traveled to Missouri on Wednesday to make his pitch for tax code overhaul, it was a more conventional — even conciliatory — chief executive who showed up. 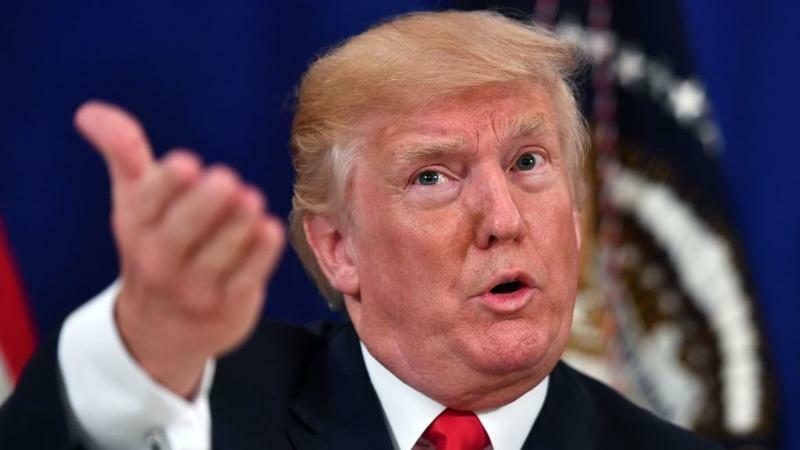 Trump expressed optimism that he could work with the legislative branch to pass something meaningful — although as NPR's Scott Horsley noted, the president offered scant specifics about what that legislation would be. 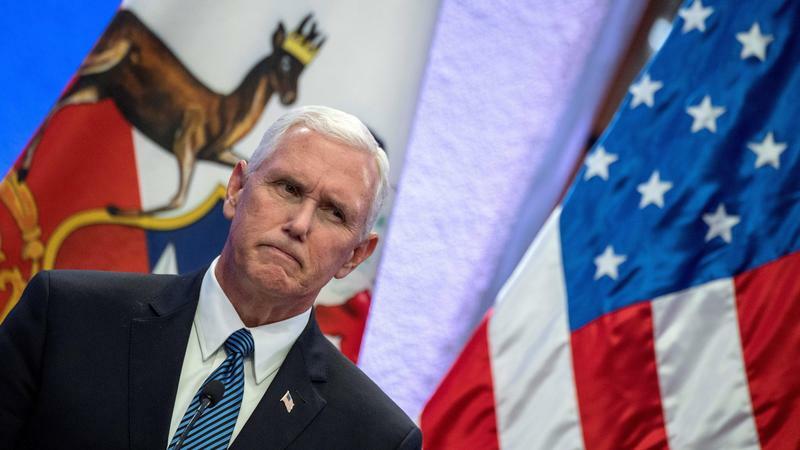 Vice President Pence on Wednesday declined to denounce or distance himself from President Trump's controversial remarks the day before that "there's blame on both sides" for recent violent clashes in Charlottesville, Va., between white supremacist groups and counterprotesters. 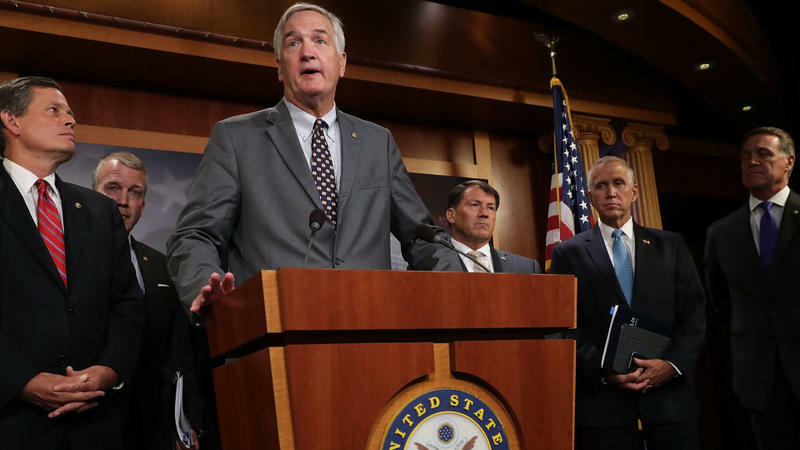 The Alabama GOP Senate race is headed to a September runoff, with incumbent Sen. Luther Strange — who had the backing of both President Trump and Senate Majority Leader Mitch McConnell — set to face-off against conservative favorite Roy Moore. 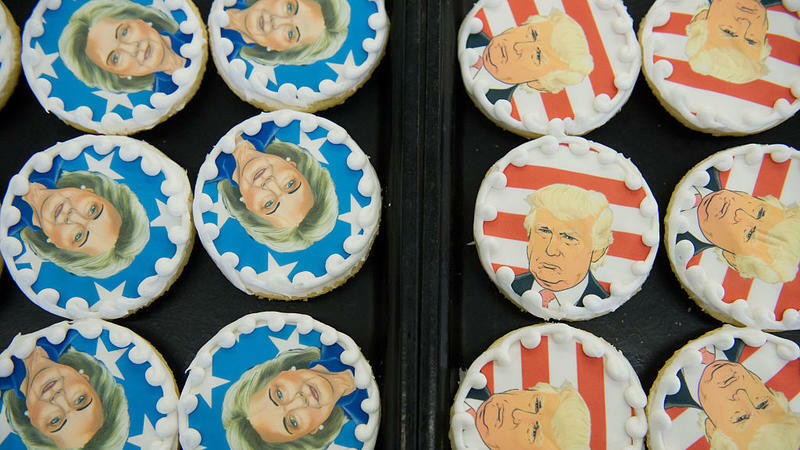 With about two-thirds of the vote in, the AP reported that the contest was going to a runoff. 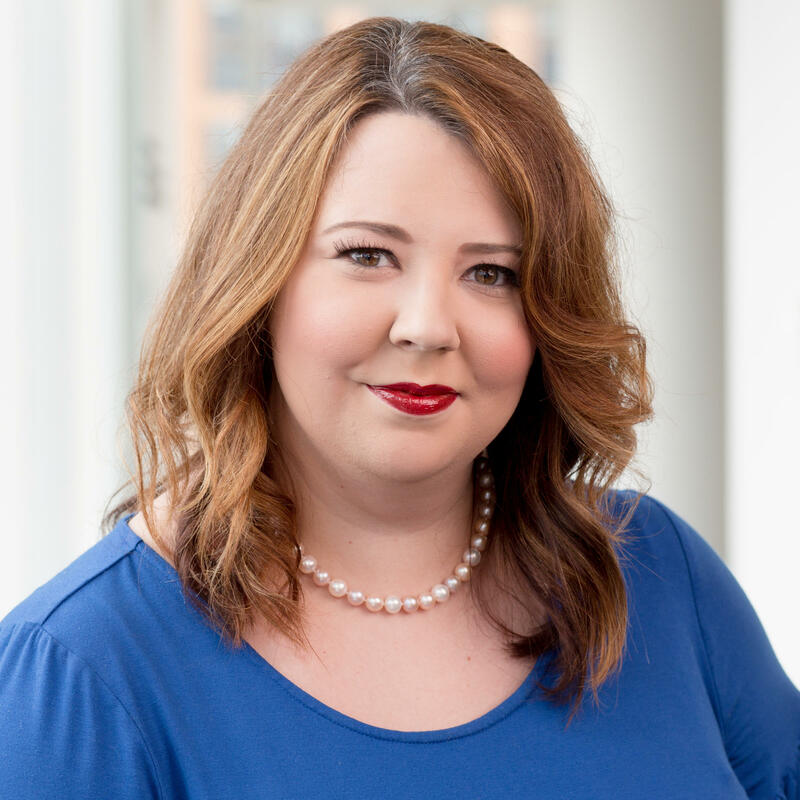 Moore, a controversial former state Supreme Court chief justice, finished first in Tuesday's balloting, getting 41% of the vote to Strange's 32%. Rep. Mo Brooks was a distant third with almost 20%. 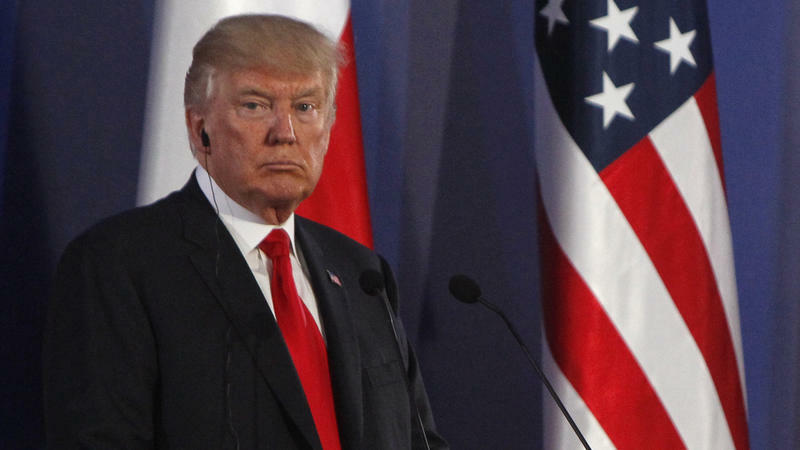 President Trump said Thursday that he was "very thankful" that Russian President Vladimir Putin had ordered the expulsion of hundreds of U.S. diplomats from the country in response to sanctions — because the administration needs to cut the State Department's budget anyway. 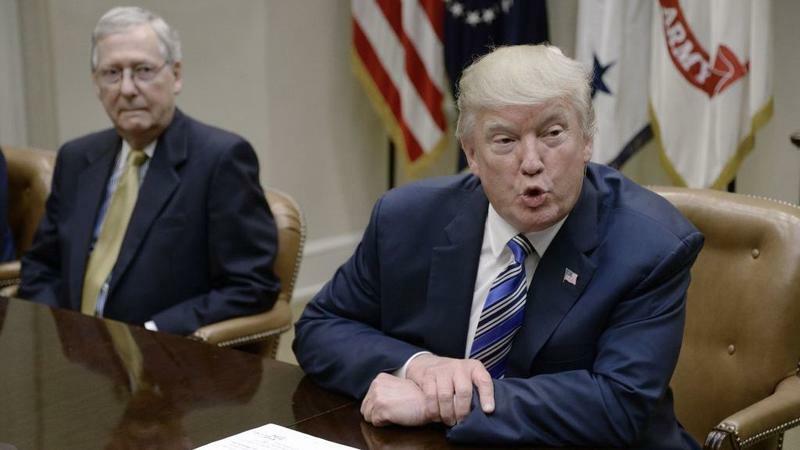 President Trump is continuing to voice his frustration with Senate Majority Leader Mitch McConnell, tweeting on Thursday that the Kentucky Republican should "get back to work" after last month's failure to pass a health care alternative to the Affordable Care Act. West Virginia Gov. 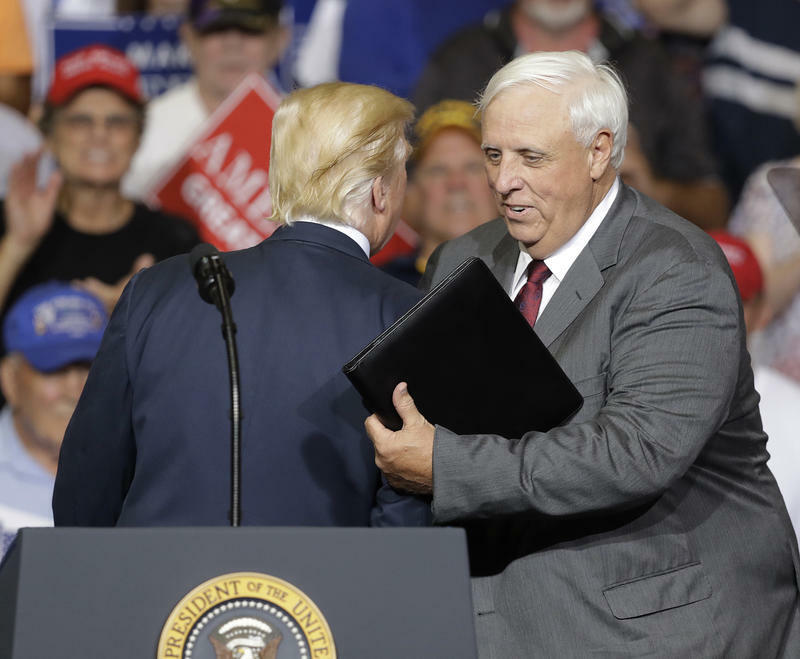 Jim Justice announced he will flip from the Democratic Party to the GOP, making the announcement Thursday night while appearing at a rally with the president. "Today I will tell you with lots of prayers and lots of thinking, I'll tell you West Virginians, I can't help you any more being a Democrat governor," Justice said. 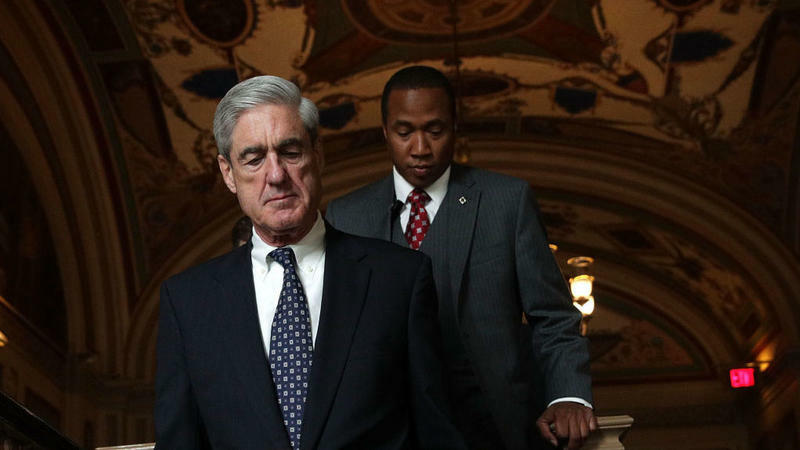 Special counsel Robert Mueller is using a grand jury in Washington, D.C., in connection with his investigation into Russian efforts to influence the 2016 presidential election and into possible collusion between Russia and top aides to the Trump campaign, a source with knowledge of the investigation confirms to NPR's Peter Overby. The source did not want to be identified because of the sensitivity of the matter. The Senate has easily confirmed Christopher Wray to be the next FBI director, a position he assumes after former Director James Comey was ousted by President Trump in May. The 50-year-old former Justice Department lawyer was approved by a 92-5 vote. 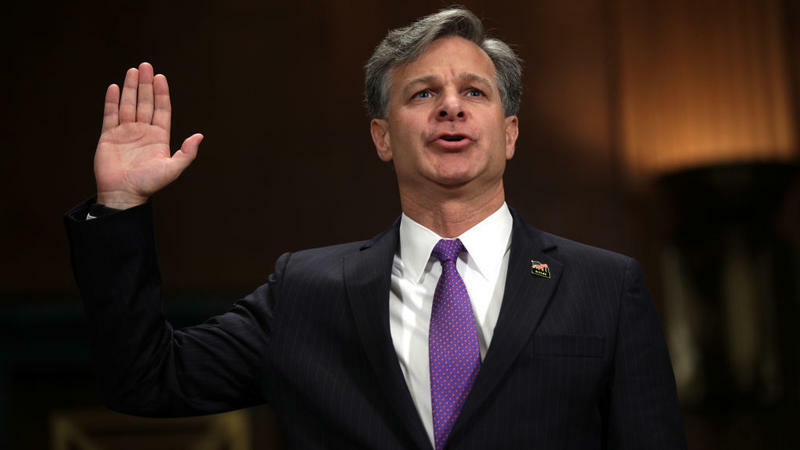 Wray was Trump's choice to lead the FBI after he decided to fire Comey — a controversial decision that led to the appointment of special counsel Robert Mueller to take over the bureau's investigation into Russian interference in last year's elections and possible collusion between top aides to the Trump campaign and Russia. 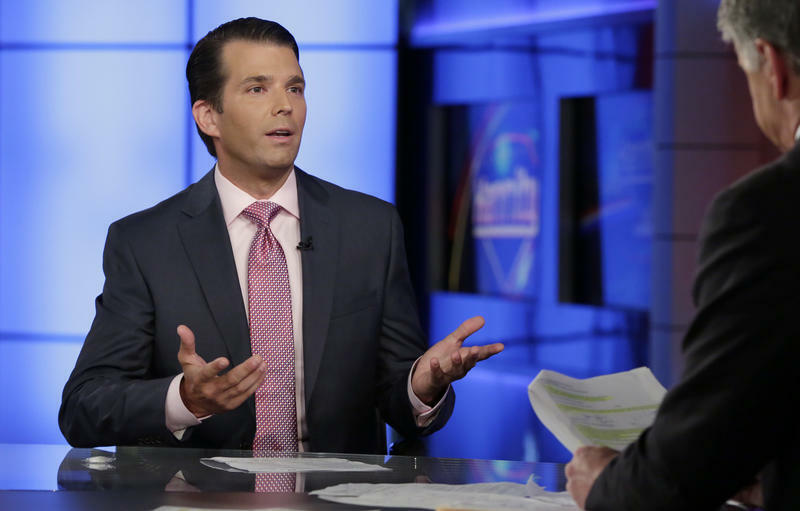 Donald Trump Jr. acknowledged in an interview with Fox News on Tuesday that "in retrospect, I probably would have done things a little differently" when meeting last year with a Kremlin-linked attorney in hopes of gaining damaging information on Hillary Clinton. 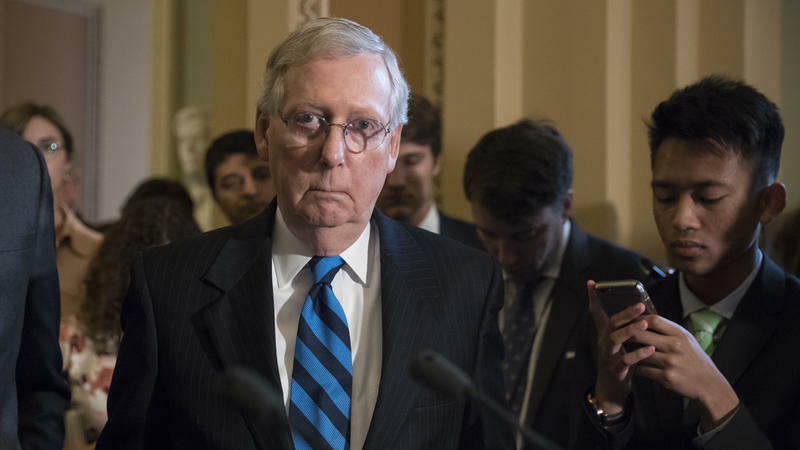 Senate Majority Leader Mitch McConnell, R-Ky., plans to release an updated Republican health care bill on Thursday and is delaying the body's annual August recess by two weeks in an effort to generate momentum for the beleaguered legislation. 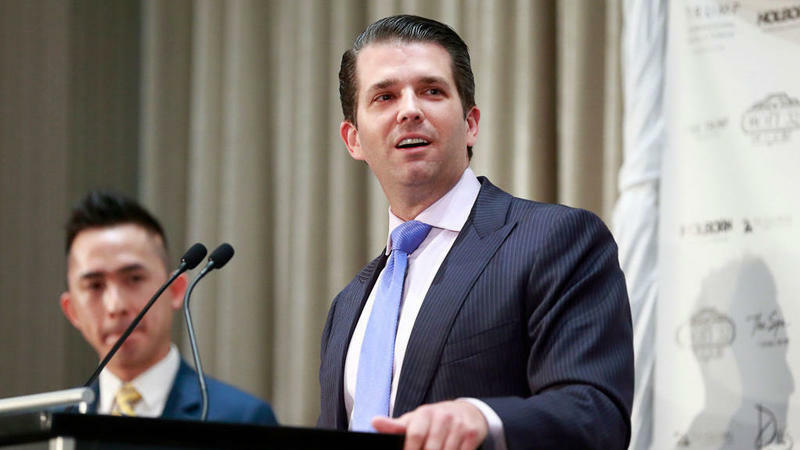 President Trump's eldest son, Donald Trump Jr., admitted Sunday to meeting last summer with a Russian attorney because she "might have information helpful to" his father's campaign. 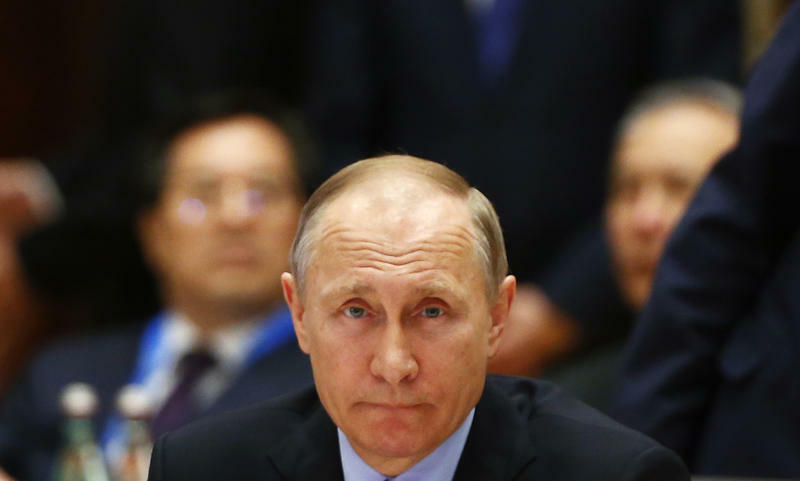 To hear President Trump tell it, there's still a lot of uncertainty as to whether or not Russia interfered in the 2016 U.S. elections. 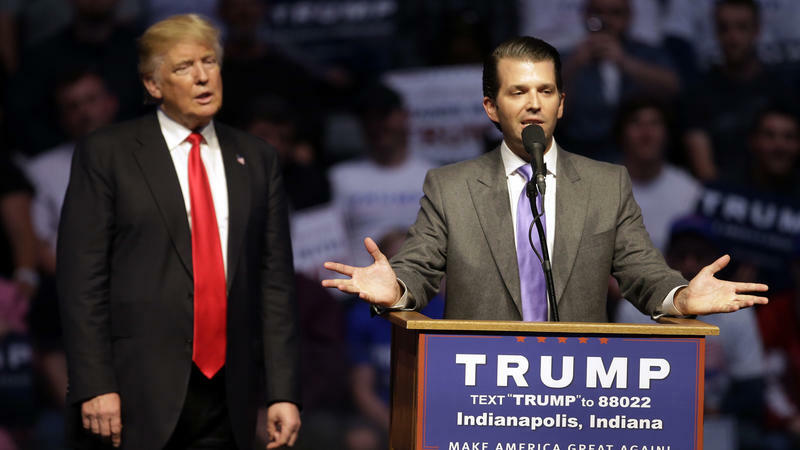 A majority of Americans believe President Trump has done something either illegal or unethical when it comes to Russia, according to a new NPR/PBS NewsHour/Marist poll. The Trump administration has been remarkably on-message on social media over the past week — that is, if you only look at official Twitter accounts, rather than the president's personal feed.